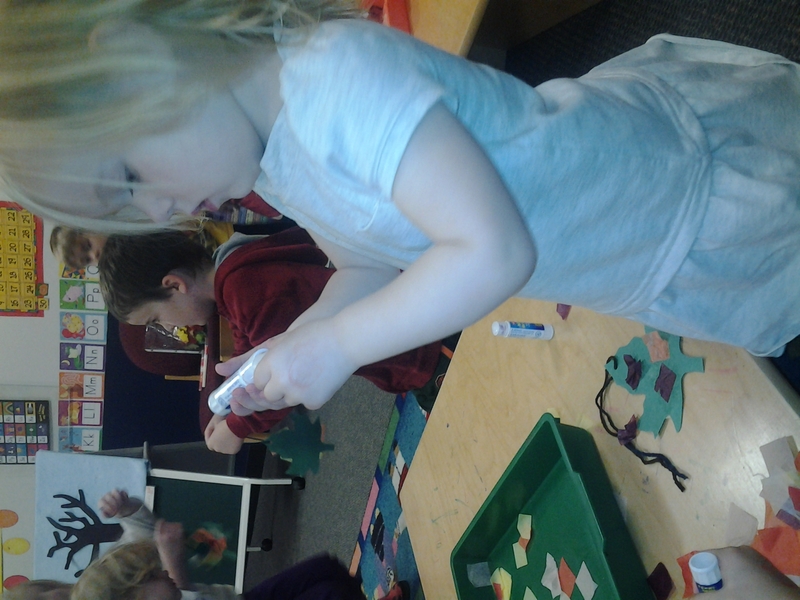 I began my storytime with a feltboard about leaves. I invited the children to count down on their fingers along with me as I sang the song. Continue with 4, 3, 2, and 1 little leaves. One of the stories I read was When the Leaf Blew In by Steve Metzger which I made into a feltboard. 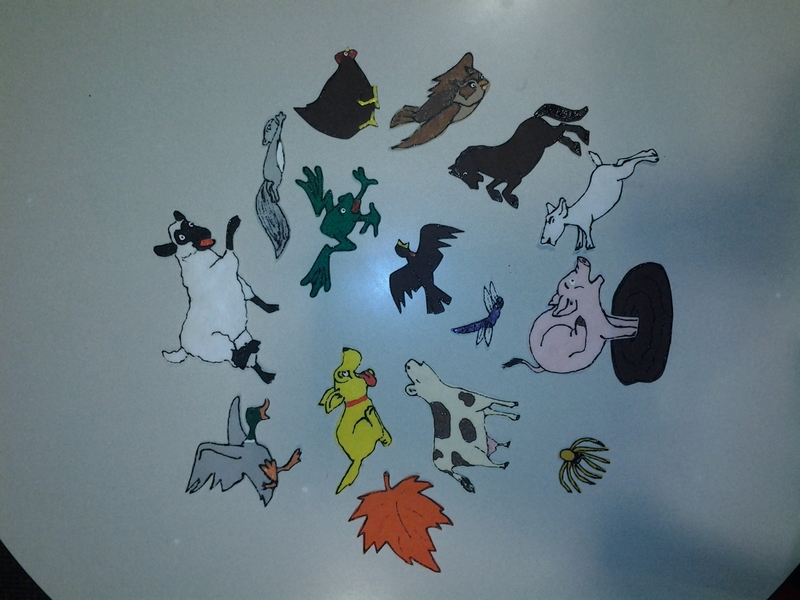 I thought it would be a great story to read while having the children bring up the felt pieces to put on the board. I passed out felt pieces before reading the story and instructed children to hold onto the piece until it came up in the book. 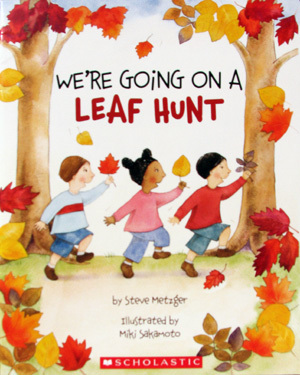 Later on in storytime I read another book by Steve Metzger entitled Going on a Leaf Hunt. Before storytime began I hid small felt leaves all around the storytime room. 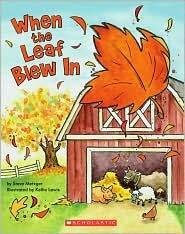 After reading this book I told the children that we would be going on our own leaf hunt in the storytime room. 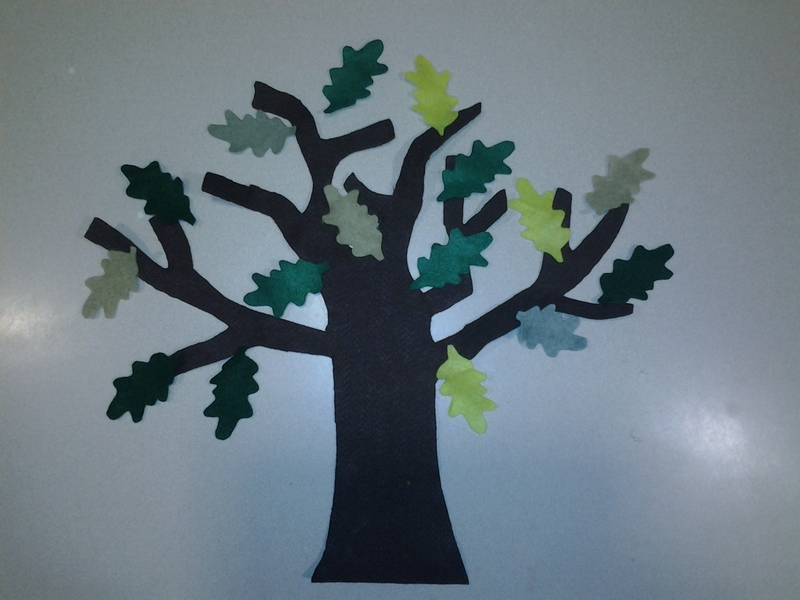 I put up a bare felt tree and instructed children to look for 4 leaves each. Once every one had their leaves I asked them to come up one at a time (I called names) to put their leaves on the tree. At the end you have a beautiful fall tree. 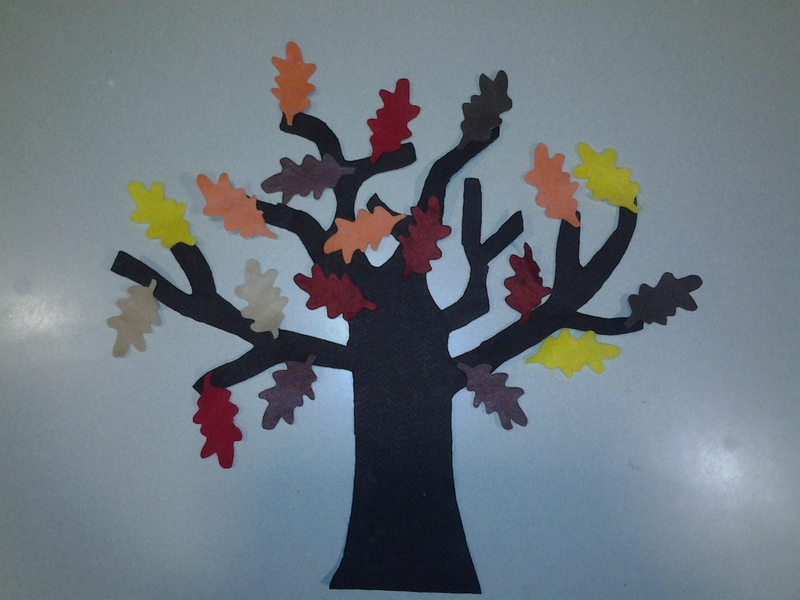 I used different shades of reds, browns, oranges, and yellows to make it a spectacular looking tree. With older crowds, I first put up different shades of green leaves on the tree, then after the children find their leaves they come up one at a time to remove a couple green leaves and put fall colored ones in their place. This works best with an older and smaller preschool crowd. This week I also had a craft at the end of storytime. I passed out green leaves to each child and we talked about why they didn’t look like fall leaves. I told them I would be passing out tissue paper in fall colors so they could make their summery-green leaf look like a colorful fall leaf. 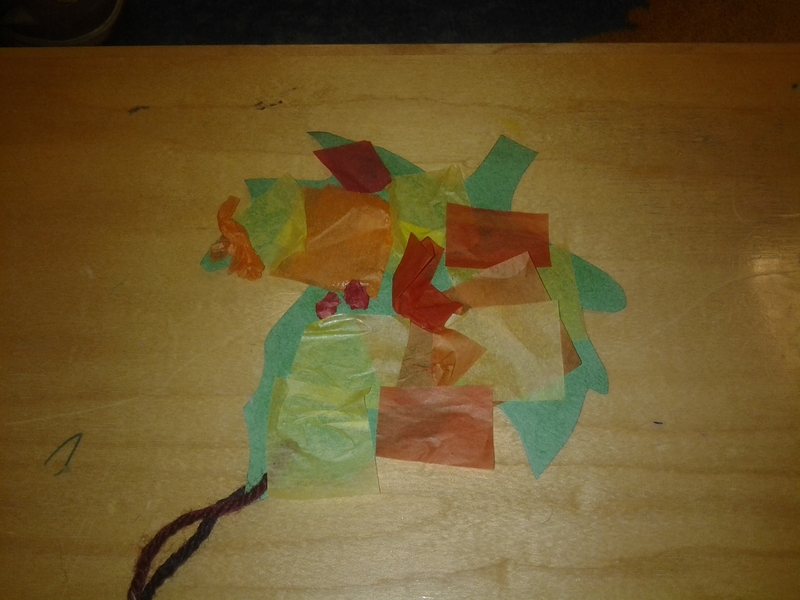 Then I gave each child a glue stick and a small pile of tissue paper squares in fall colors. The leaves each had a piece of yarn tied at the top so they could hang their pretty leaves up. The kids loved this craft and they looked really pretty afterwards. Some children decorated both sides while others just did one side. 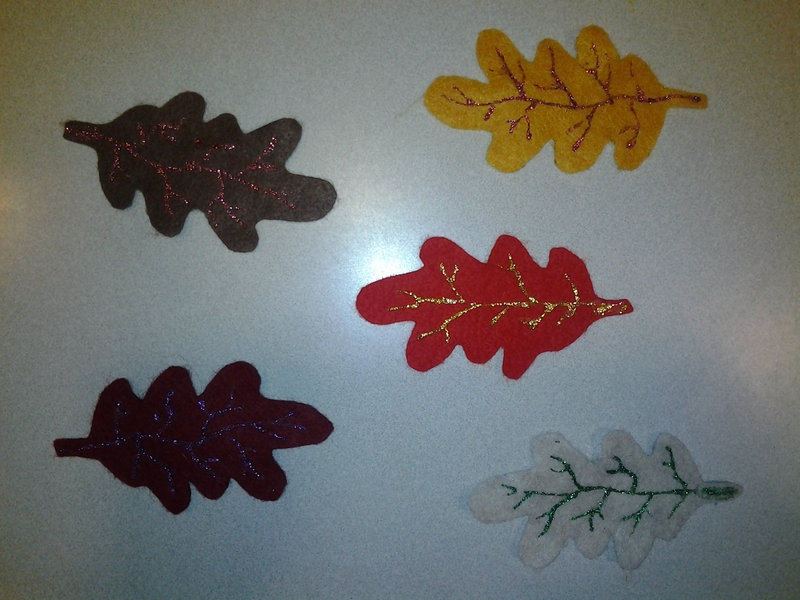 For those brave enough to try it, adding a little gold glitter to the leaves after they have tissue paper would look really nice too. But glitter can get super messy, so we tend to stick away from it at my library, when working with the little kids. My daughter Lexi working on her leaf in the toddler class. Stop by Tracey’s blog later today to see all of this week’s Flannel Friday ideas.